At Appinventiv we’ve been making a big impact in the digital space since our founding in 2014. 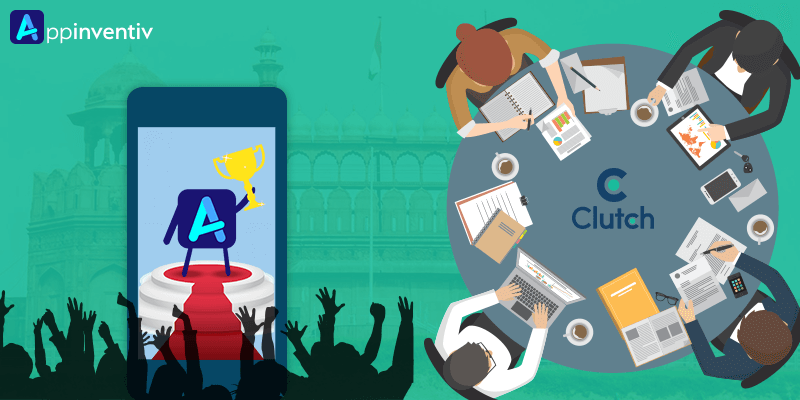 We’ve generated more than $500 million in revenue for our clients, have received over $100 million in VC funding and, recently, we were named among a list of the best app developers in Delhi by Clutch, a business-to-business market research firm based in Washington, D.C. Clutch uses a proprietary research methodology that consists of a dozen qualitative and quantitative factors to evaluate digital marketing firms around the globe. Based on their findings they map these organization on a Leaders Matrix to indicate their position as a niche, emerging, proven or market leader organization. In addition, they conduct one-on-one interviews with agency clients to get an unvarnished, inside perspective on the quality of services provided. We’re quite proud to say that we’ve maintained a score of 5.0 (out of 5.0) based on feedback from our clients. Interested in learning more? We invite you to visit our Clutch profile. Nice post, Thanks for sharing. Really appreciate the information which is shared.